Expanding Arwen’s role in Lord of the Rings and creating the character Tauriel for part two of The Hobbit? Casting Angelina Jolie as the eponymous character in the movie Salt – essentially a female James Bond-esque super-spy and assassin? Making Starbuck female in the Battlestar Galactica remake? The notion of creating a Bridesmaids part 2, a Wonder Woman movie, a Black widow movie, or almost any movie with a female lead that’s not a rom-com or doesn’t have her playing alongside a male lead who’s an equal or greater box office draw? It’s funny how no one ever declares the preponderance of male-led movies (85% of top movies in 2013) as gimmicks jockeying to gain a male audience. But the minute someone tries to do something interesting – or even something fairly commonplace – with female characters, it’s almost immediately seen as pandering to female audiences rather than legitimate and/or intentional storytelling. Even if attracting female viewers is a studio’s sole motivation, since when did giving your audience what they want becoming shameful and indefensible rather than the foundation upon which both the production and promotion of entertainment is based? Despite the at times icky tension between staying true to one’s art and producing something marketable, artists and producers of all persuasions always create with their audience and what they might like in mind. It’s the only way to guarantee having an audience, and even then, it’s no guarantee at all. It’s no secret there’s a dearth of meaningful female roles in Hollywood – a dearth of female roles period, truth be told. Film studios are risk-averse and have been suffering (most likely due to being risk-averse). 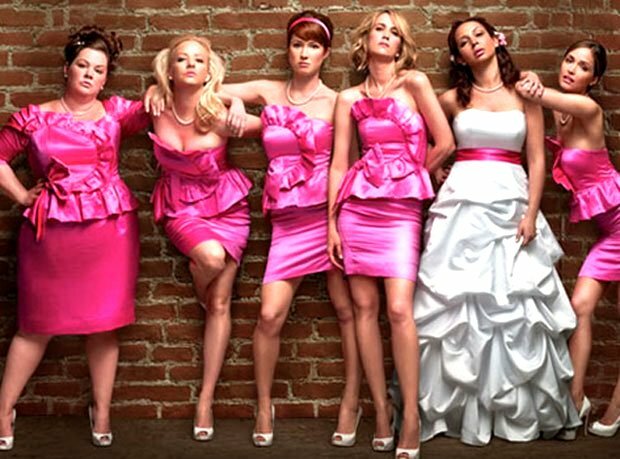 However, as much some people try to deny it, films with female leads do make money (especially women’s money) as evidenced by the success of movies like Twilight, Frozen, Gravity, The Hunger Games, Divergent and Bridesmaids. This is not to say I’m some dollar-driven person by nature; I’d much prefer if studios made female-led movies because it’s right thing to do – because women compromise half the planet’s population and deserve to have that reflected in popular culture. But the fact such films are being produced at all will never draw a complaint from me, especially when I’m one among the countless women out there calling for greater representation. 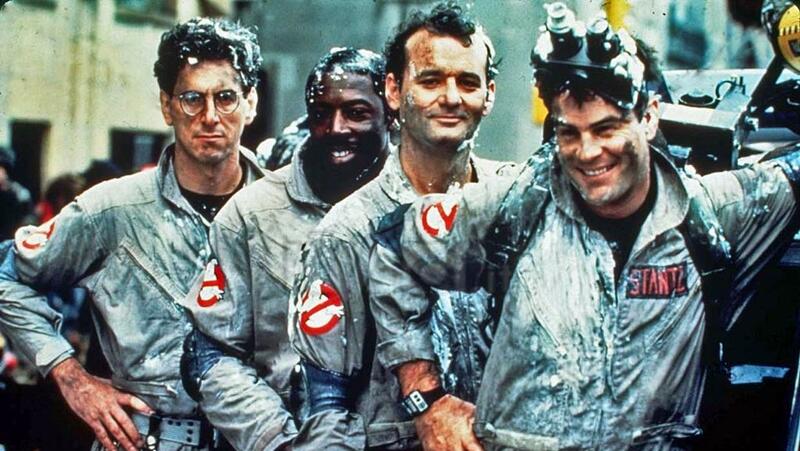 Which brings us back to female Ghostbusters. For many people, the problem mightn’t be the marketing to women or the use of female characters at all, but rather the use of females to replace beloved characters who happen to be male. That is an argument I understand much better. I too have favourite characters, who, when I call them to mind, often appear as I first encountered them in their respective stories. However, I also really like discovering new dimensions of my favourite characters and seeing how the react in new situations. I love a good reboot for this reason. It’s also why I’m so fond of fan fiction writers: they work with the essential core of a character while stripping away all the canon trappings to create something fresh. 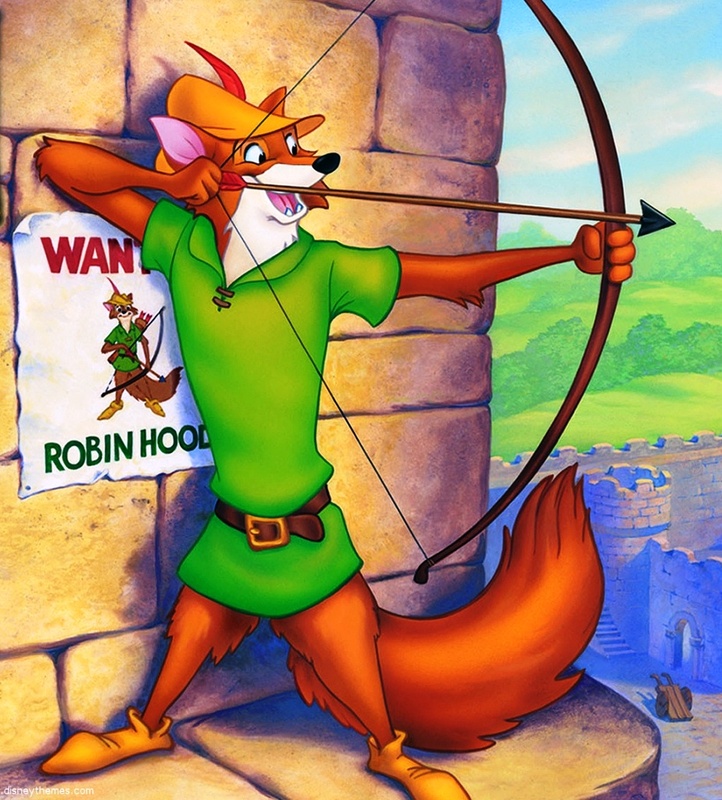 Robin Hood was changed into a fox. The entire crew of Star Trek’s Starship Enterprise was made younger. James Bond was changed from suave and slick to brooding and brutal. Optimus Prime was changed from the supreme leader of heroic freedom fighters to an officer corps washout and a leader of outcasts. Katniss Everdeen was turned white. From male to female is just another change – just another storytelling gimmick to tell an old tale in a new way, like people have been doing since the dawn of time. Gender (or race, nationality, profession, sexual orientation, species, etc.) doesn’t make a character; character makes a character. It’s something that writers of alternate universe fan fiction in particular have understood for years. Personally, I view gender swapping as a valid literary device in original fiction as well. Not only can gender swapping offer new insight into characters themselves, it can do so for society by virtue of the gender-based consideration that gain importance when a character is suddenly male or female (or other) for the first time. It can also challenge stereotypes and preconceived notions about the genders and help lead to an more equitable world, one entertaining story at a time. What are your thoughts on marketing to specific audiences? What about when characters are presented in new or different ways? Let me know in the comments. This entry was posted in Gender issues, Opinions and tagged Characters, Diversity, Fan fiction, Gender, Marketing, Movies, Representation, Storytelling, TV, Writing. Bookmark the permalink. Women have always read/watched men but vice versa? Not so much. Good points with Robin Hood and the others. Thanks, Gry! I have no problem watching a movie without any women it the story is set in a location or situation where logically no women would be. But so many movies (particularly of the sci-fi/speculative variety) seem to purport an everyday world where women (or for that matter, people of colour, old people, people with disabilities, people who aren’t straight, etc.) don’t seem to exist, which – outside of your tiny, white bread hamlets that are fast becoming a thing of the past themselves – isn’t representative of the real world at all. And yes, few people care when women read/watch about men, but God forbid men be made to read/watch about women. This kind of thinking starts early as well, with the books that are selected for reading and discussion in school. It’s also part of the reason J.K. Rowling went by her initials with Harry Potter instead of her given name, Joanne. She was worried (or perhaps it was her publisher) that boys would read the books if a woman’s name was on the cover. Then I caught myself. What the hell was my brain doing?! So I read the liveship trilogy and … that’s the most awesome experience I’ve had in a long time. It was nothing like what you’d expect from a “female writer” but then, expecting something at all is quite misogynist as we don’t expect anything in particular from men. Look at John Green with The Fault In Our Stars. It’s claimed to be groundbreaking and a good teaching for children, but … Look at it. Read it. It’s just Twilight with cancer. It really brings nothing new to the scene. The girl is actually less pro-active than Bella. So, anyway, there’s a serious under-representation of women and people of color or disability. And when women are in the main role? It’s probably a romantic comedy. So no wonder men don’t want to see women as the MC if that’s what they expect. Heck, I DON’T WANT TO SEE THAT. I didn’t realize Robin Hobb was either a pseudonym or meant to be read as male. I just assumed the author was female because all the Robins I’ve ever known have been women. But what you describe is actually have those in charge of production and marketing influence us. They’ve put out the message that female = lesser for so long, even women are believing it! I’ve read articles proclaiming John Green as the “Savior of YA”. The last time I checked, YA was the only genre that didn’t need saving – the only genre still experiencing growth and healthy sales. But it was previously sales by women, both recently and throughout the genres lengthy history, so I guess that doesn’t count. I think as women, we need to be very skeptical of these messages and to judge each work on its merits rather than the gender of its author. We also need to consciously seek out works by and about under-represented people to prevent our worldview from becoming as narrow as that of mainstream media. Agreed. I almost puke everytime people say that about John Green. I mean, if you want to mention a male author who did much for YA go to Neil Gaiman who even revolutionized comic books! The sad thing is that people will accept how commercials persuade us to want things but don’t understand how they can persuade us to view the world. And with commercials, everything else. This is why I’m all about representation in my own work. If I show one side of things I’d like to at least give a hint of the other side. Btw, only about 11% of fiction has a female MC which is the same number as in 1940. 5% of fiction has women of color. Terrific post, Janna. Hollywood’s inability to recognize half its potential audience continues to baffle me. Even the most misogynistic jerkoff in the world should still recognize a good business opportunity (much like free-market advocates, who tend to also be religious conservatives, should see that marriage equality is a massive boon for the economy). I think female ghostbusters is the only possible option. The original GB does not require a remake, since it is brilliant as is and caught those actors at the height of their comic popularity. We had a fairly long conversation at work yesterday about our dream cast for an all-lady GB cast (consensus was not reached). My only explanation is that film execs are so disgusted by women and their goings-on, they can’t stand making movies about them (let alone working on movies with them) regardless of the fact it could make a boatload of money. Girls do have cooties, after all. Maybe your co-worker should pursue a career as a film producer; it sounds like he’s got way more vision, all things being considered. I suppose people need to get excited or upset over something, but it seems to me that mass entertainment isn’t one of them. How about gun laws, obesity, discrimination, hell even sport. Maybe ‘They’ should cancel everyone’s screen-watching rights for a year and see what changes. I would disagree that mass entertainment and pop culture aren’t worth getting upset about for two reasons. First, they provide a window into what is valued in society. The easiest way to understand a culture is through its art and entertainment, and an examination into what comprises that entertainment – who is represented, how they are represented, which art is widely promoted and which is left to languish in obscurity – correlates pretty closely with what occurs in real life on a daily basis. And second, because we are all inexorably influenced by media, be it the news we watch, the books we read, the ads we see while waiting at the bus stop, or through movies and TV. Sometimes that influence is a decision to go along with what’s deemed popular or cool and sometimes we decide to go against the grain. Most of the time, we’re not even conscious of how media affects us. Research has shown, though, that exposure to previously unpalatable ideas through entertainment can increase their palatability in real life. For example, there was a show in the US a few years ago about a female president. Studies showed that after that show aired, people’s tolerance for the possibility of having a female president improved. For that reason, it’s important to be critical about what we’re exposed to for entertainment and what ideas we’re being inured to. This can occur while simultaneously speaking out against issues like gun laws and obesity. None of them have to be mutually exclusive. The trouble is Janna that the general population have long been anesthetised into accepting the lowest common denominator entertainment that is dished out to us. The TV companies live or die on viewing figures, they churn out passive entertainment that people accept as the most exciting thing to happen that day. I see and hear otherwise intelligent people debating reality shows like they actually matter. That isn’t the culture of a nation, or is it? Maybe it is – pizza for dinner then slob out in front of the TV with a can of beer. Of course there is no going back to Jane Austen’s day when entertainment was dinner parties (for the upper classes) and a fair day three times a year for everyone else. And long gone is any pretense that a national broadcaster had a duty to produce quality TV. Here in Jersey anyway people seem to have lost total grip – they’re glued to something called ‘The Great British Bake-Off’ yet there was a turnout of something like 30% at last week’s general election. Half of them couldn’t tell you where the polling station was. So I think I’m saying (ranting) that TV and mass marketing ought not to lead our thinking in the way it clearly does. Surely we’re capable of better than that? I didn’t even know there was a female GB on the cards (I’m very behind the times). I liked the original and am not sure who they would cast in the roles. I like the idea. I liked the original Ghostbusters too, which is why I like the idea of doing something completely different with it (by casting women) rather than remaking what’s already been done perfectly. Depending on who they cast, it could be a really fun reboot! I’ve never been to Hollywood either, but it’s a documented fact that the number of female directors, producers, writers, etc. is very small. Which is a shame because women bring a different perspective to film making through having different lived experiences than men. These unique perspectives (as well as those of other diverse people) might be the thing that makes film studios profitable again and brings about a golden age of movies.